Tickets get guests one hour of tubing. 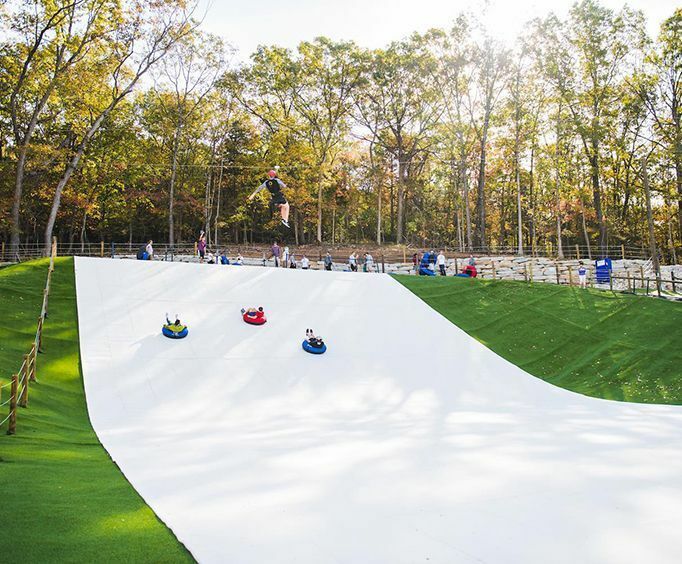 Have some fun in the snow year-round with the amazing Snowflex Tubing Hill, where you and your whole family can have a blast sliding down this amazing snow-covered hill. With the slope being 400 feet by 60 feet, making this the country's largest synthetic tubing slope. 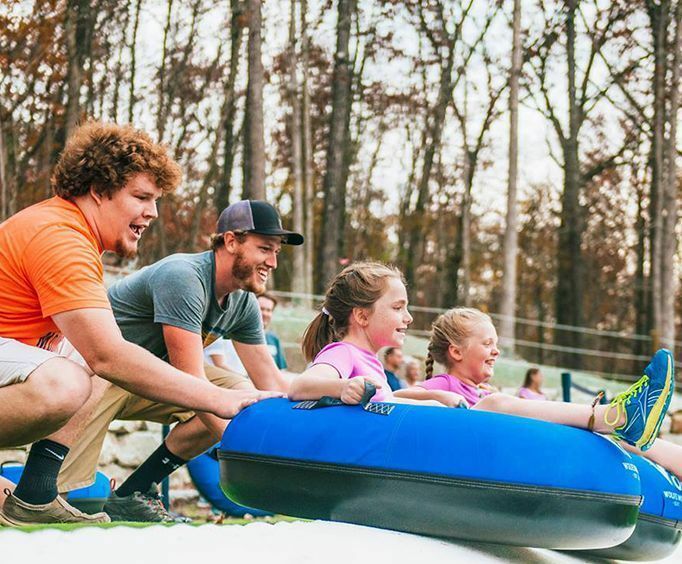 Six people can tube down the run, allowing for your entire group to go at the same time and share in the adventure! Kick back and relax on these exciting tubes as you race down the slopes for a real adrenaline rush. Hop on a tube and race your group down to see who can be reigning champion, then see how many times you can race back to the top within the allotted hour so you can squeeze in as many runs as possible. With this amazing attraction, the entire family or group can spend the hour having the time of their lives. Enjoy tubing down the wonderfully white covered hills in the middle of summer for the perfect balance of winter and summer for your thrilling experience! Get your fix of winter excitement and fun when you bring your whole family out to enjoy the Snowflex Tubing Hill. Make sure to check out this spectacular attraction the next time you plan a fun trip with your family! 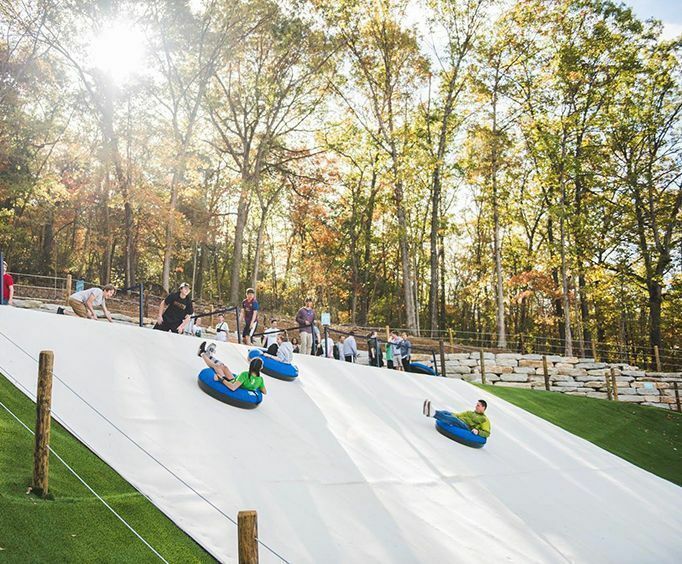 What is included in the admission price for Snowflex Tubing Hill ? Includes one hour of tubing. All abilities are able to enjoy. Is Snowflex Tubing Hill guided or a non-guided timed equipment rental? This is a timed activity.